Every few months — or constantly, depending on your attention span — we hear another round of passionate recommendations that fossil fuel subsidies be phased out to level the playing field for clean energy. Most recently, World Bank president Jim Yong Kim emphasized that “we need to get rid of fossil fuel subsidies now” in his agenda for promoting clean energy. Sounds like a sensible goal, but there’s reason to think that eliminating fossil fuel subsidies wouldn’t be nearly as transformative as is often suggested. In this post, I’ll briefly explain why that’s the case. By their telling, renewables have received almost no relative subsidy support, and are dwarfed by fossil and nuclear alike. Of course, NEI has an interest in making nuclear subsidies look reasonable, as do Pfund and Healy for renewables. So these reports are easy to dismiss by opponents. But all accounts seem to agree that fossil fuels are by far the largest beneficiary of public subsidies. That suggests that fossil fuel subsidies should be phased out, a move that would significantly benefit emerging zero-carbon technologies. Right? The US Energy Information Administration recently released their latest account of federal energy subsidies, and I quickly ran the numbers to calculate the cost per megawatt-hour of generation. The numbers are certainly imprecise, especially on renewables, but they show what orders of magnitude we’re talking about. So maybe fossil subsidies aren’t the hulking barrier to the clean energy revolution that they’re made out to be. They should still be eliminated as wasteful and inefficient, right? Again, not so fast. Many fossil energy subsidies in rich countries are unnecessary — see this 2013 paper by Joseph Aldy. But many subsidy programs in poor countries are fuel subsidies for low-income populations. As this 2012 Nigerian case study by Morgan Bazilian and Ijeoma Onyeji shows, “Justifications for removal [of fuel subsidies] often do not adequately reflect the specific environments of developing country economies.” Often, a choice to end a fuel subsidy is a choice to make energy more expensive for the poorest among us. This shouldn’t surprise us. Fossil fuel subsides totaled $548 billion globally in 2013. That sounds like a big number, but in 2013 global GDP was $77.6 trillion. That means that fossil fuel subsidies make up just 0.7 percent of global GDP, despite making up 87 percent of global energy supply (and therefore powering at least 87 percent of economic growth, arguably). 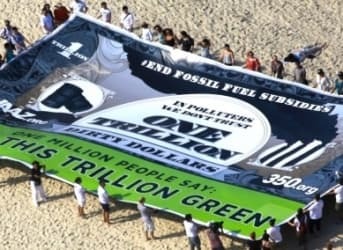 So yes, we should tax carbon and we should phase out unnecessary fossil fuel subsidies. But neither of those, nor indeed the two together, are panaceas. Pursuit of those policy actions should not let us forget that an energy transition is fundamentally a technological — not a price-based or pollution regulation — challenge. If we want solar panels and nuclear reactors and electric vehicles to replace fossil fuels, they simply have to do a better job at powering the global economy. As Brad Plumer recently summarized, we’re making progress, but we’re just not there yet. Does Fossil Fuel Divestment Make Sense? Here is the dilemma, it takes time to develop and work out all of the bugs associated with any new energy source. No one wants to invest in technologies that cannot produce a return. When the price of oil goes down, there is a hesitancy to even drill or explore for new oil wells, let alone alternative energy sources that would need complete infrastructure changes in distribution and end use sales methods. ( take for instance the electric car being developed by Tesla ) So, after depletion of existing wells oil prices rise and it makes exploring for oil seem more lucrative as well as alternative fuels and different transportation technologies. Just as the new fuels get a foothold and seem that they can compete, the new oil wells become productive and you once again see the part of the cycle where oil prices come down. Instead of taxpayer subsidies which ultimately cause higher government debt, perhaps there should be a world wide tax on each barrel of oil with the funds being specifically directed toward the military which must be funded to secure the oil from point of production, to end user. No one in calculating energy costs factors in the enormous financial commitment needed to secure this resource. It is mainly because this cost is an external cost that cannot be directly factored into production. Interesting article. I'd posit that the immense price tags and human suffering inherent in wars largely driven by oil interests are an additional form of subsidy, albeit one that is impossible to calculate, as is the catastrophic damage to the ecosystems necessary to sustain human civilizations. Of course mass manufacturing wind turbines, batteries and solar panels, or splitting atoms have their own associated environmental detriments that aren't easily translated into dollars or euros or rubles. Great article that objectively - what a relief! - outlines the issue of subsidies. It's a good point that fossil fuels appear to get the lion's share of subsidies, but since the chart looked back some 60+ years, of course FF subsidies were much higher then, and there wasn't any discussion of alternative energy until recently. So, if you take all those decades versus the past decade or so, roughly, of intense renewable subsidization, the picture becomes much more balanced. Rusti made good points on both sides...there are benefits and setbacks to all sources, and John Scior outlined why you don't just go full bore into alternative investment. Industries have to prove themselves to be self-sufficient and largely profitable compared to the subsidies that go in. The newer energy sources have not yet done that, so FF's will be an important factor for a long time to come. If you look at life-cycle costs, as utilities do, renewable energy looks pretty good. Utilities are increasingly building renewable energy themselves, are acquiring new renewable power in long-term power purchase agreements. The cost of renewable energy is mostly front-loaded. Somehow, you have to get over the high initial cost. With fossil fuel it is different. Energy remains a substantial cost over time. No wonder fossil fuel looks for tax advantages in the long run, year after year -- in a mature industry. Next, the fossil fuel industry will face higher interest rates for borrowing and greater regulatory burden. Yes, industry is worried. Time to spiff up the old image. So, what the author is saying is we should continue to subsidize fossil fuels because the subsidies are only a small fraction of the enormous profits fossil fuel companies are making. Eh? Perhaps I missed it, but there seemed to be no mention of the vast "depletion allowance," by which oil companies remove oil from the ground and sell it, and then Uncle Sam pays them for the fact that there's no more oil in the ground. In effect, the government buys oil wells when they're empty, at the market value when the wells were new and full of oil. Seems like a huge subsidy to me! Some sources peg this at $60,000,000,000 annually. Carbon industry shills like the Breakthrough Institute are growing increasingly desperate. They're throwing everything they have to slow their departure. But go they will, or else. 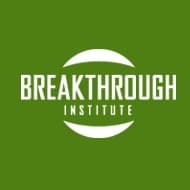 Jim Spriggs: "Carbon industry shills like the Breakthrough Institute are growing increasingly desperate." Not just carbon industry shills, nuclear shills. The "Breakthrough" (?) Institute is a Rockefeller-funded outfit dedicated to obstructing renewables development and promoting nuclear power. Very strange, and ugly. "The International Monetary Fund has just calculated...in a study distributed by its Fiscal Affairs department: How Large Are Global Energy Subsidies? (IMF working paper 15/105)..... Figuring in all necessary government actions to counter greenhouse gas emissions, global subsidies amount to not only the numbers usually cited (of around $500 billion a year), but to $5.3 trillion a year."